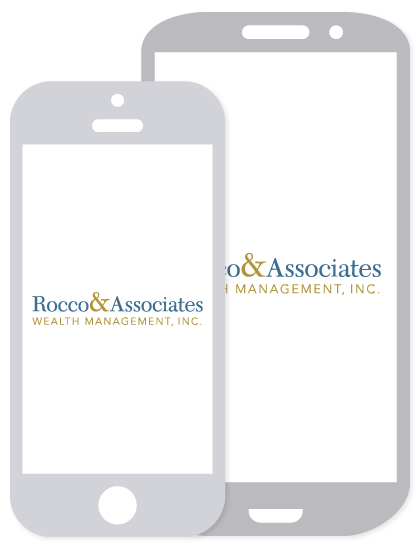 We hope you enjoy this month’s Around the Office as we share with you some of the exciting news happening at Rocco & Associates Wealth Management. We are always trying to build a stronger relationship with our clients and we think there is no better way to do so than to keep you informed of our upcoming events, initiatives and general office activities. In order to become closer to both our clients and our community, we enjoy immersing our company in charity and other community events. In the next few weeks we have quite a few events that will be approaching us quickly. On September 9th we will be sponsoring the well know Russo Family Foundation Golf Tournament. Rocco & Associates Wealth Management Inc. acts as a charitable conduit for this foundation, which raises money for women to receive mammograms. We greatly encourage anyone to participate in this outing, if you are interested please call our office. Also, on October 12th we are sponsoring the annual Saugatuck Cup fishing tournament hosted at Westport Outfitters. Rocco & Associates very own Eric Johnson partners with the ninth floor foundation to bring you this wonderful event which raises money for the Children’s Tumor Foundation and Memorial Sloan Kettering Pediatric Day Hospital. Tickets to the after party of this event are $50, and if you would like to check out some photos please head to SaugatuckCup.com. This fall we will be hosting our first Health & Wealth seminar on October 24th; more details will be made available in the next few weeks. Also, we will we be hosting our round table events throughout the winter and fall so please keep an eye out for any of them. For those unfamiliar with our round table events we have a wholesaler of an insurance, annuity or mutual fund product come in and speak with those who own it. We hope to see some of you at these upcoming events; if you have any questions about any of them please don’t hesitate to call our office! One of our most important responsibilities is helping to keep our clients up to date on all aspects of their financial portfolio. Currently we are doing insurance reviews of client policies and we encourage you to come in and meet with us or give us a call to discuss your current policy. We believe these reviews will benefit you by helping us to keep your insurance objectives aligned with the policies you own. Please call our office and schedule an appointment to discuss your insurance needs today!